We are proud to announce the Soft Launch of CEO.CA Pro Subscriptions, a new stock market information service, and the first premium product by CEO.CA. 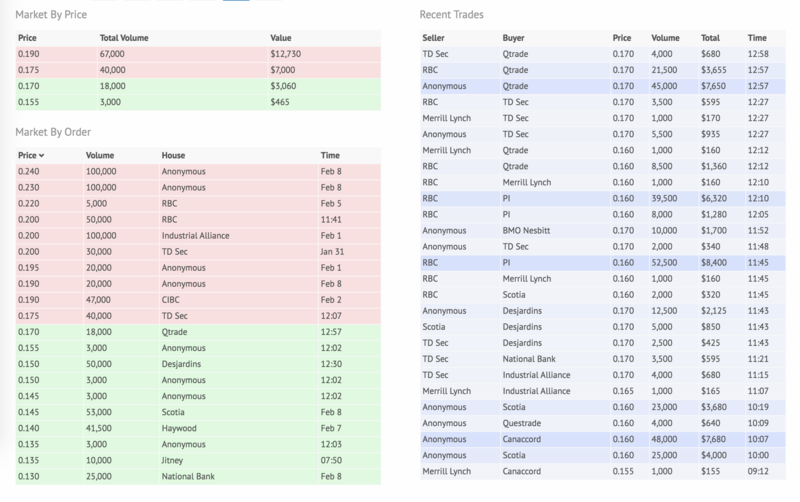 As of today CEO.CA members can purchase a Pro Subscription to gain real-time access to market depth (a.k.a. level 2 data) from the Canadian exchanges (CSE, TSX, and TSXV), as well as a #pros only channel to discuss investment opportunities. After several months of testing and refining, we are now confident that we can serve you reliable real-time data live within the web-browser. During market hours, this translates to millions of bids/asks and trades an hour, covering thousands of Canadian stocks. Our market depth data, which includes house names (broker info), comes with virtually no delay (under half a second) and are streamed straight to your browser as the market moves. 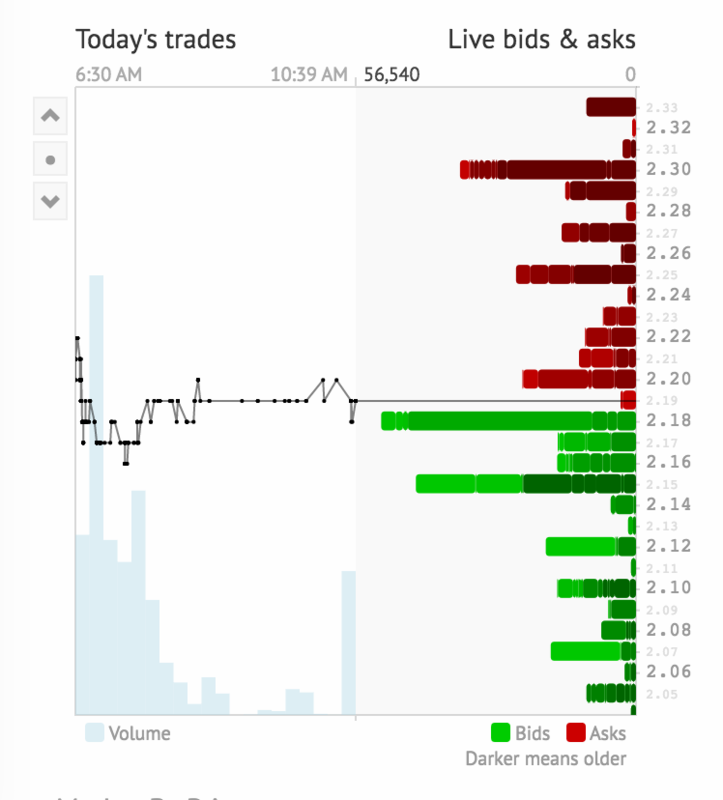 You can see bids, asks and trades light up on our charts in real-time. Note this is a Soft Launch and we are releasing Pro Subscriptions with a preliminary feature-set. Now that we have reliable data, we can focus on building more tools that save people time and money. The Pro Subscription features will evolve rapidly, and we will do our best to consider user feedback and innovate. Help the CEO.CA platform succeed and grow! To start your subscription now, first make sure you are registered and logged in. Then click the "Pro subscription" button on the bottom of the right sidebar. The differences in pricing are based on TSX user fees. Get help in the #feedback channel. We seek neither charity or praise. We do want to build an invaluable product. If you desire better stock market information and or have benefited from your experience as a CEO.CA member we would love to know what you think about the first version of CEO.CA Pro and what it needs to be competitive. Don't sugarcoat it! Buy a subscription and tell us what you think.